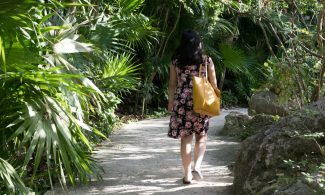 The origins of Xcaret Park date back to the time when a person, while exploring the terrain, saw so much natural beauty in one place, that decided that such paradise had to become something for everyone. 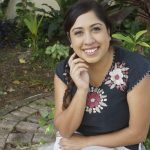 Thus arose Xcaret, which is much more than beaches and underground rivers, although these are some of the main reasons why people around the world travel to visit. 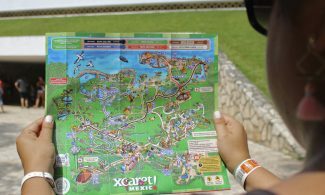 If you love water activities, you will appreciate this tour in which you can enjoy the various water activities included in your entrance to Xcaret Park. 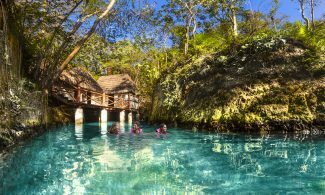 There are three underground rivers you can swim in Xcaret, Blue River, Maya River and the Manatee River; our recommendation, if indeed you love water, is to choose two: one as first activity and other as final water activity. The Blue River is very different from the others because it’s the one with most caves, so we consider it a must. Try to arrive as early as possible to the Park and make it the first thing you do. The tour lasts about 40 minutes, depending on how fast or relaxed you swim. We recommend that you swim until the final exit, where besides of picking up your belongings (if placed on a river bag), you will head straight to where the Park ends: the Caribbean Sea. Xcaret natural pools are the best place to enjoy the seawater. The pounding waves naturally fill and recycle these natural jacuzzis’ water, creating a unique feeling similar to the movement of the tide, without swimming in the open sea. Also, depending on their depth, some are perfect to jump into the water and dive safely. Almost always, the idea of a vacation in Cancun or Playa del Carmen involves spending time on the beach feeling the soft white sand under the shadow of a tropical palm tree. Going to the beach in Xcaret is a must. It’s the perfect place to enjoy calm waters, play with your family and float on an inner tube. Also, here’s the Pai Ai Bar, where you can buy one of our famous Pai Ai Pineapples: a tropical cocktail with style. After playing and relaxing on the beach, it’s time to rent snorkeling equipment and take an underwater journey, the perfect place: the Snorkeling Inlet. Here, you will find a wide variety of species, from fish to marine turtles (if you’re lucky). The water is almost transparent and very fresh, which makes it the favorite swimming spot for many visitors. Yes, you read correctly, there’s a water slide in Xcaret! It’s small compared to others, but that doesn’t mean it’s not fun. Also, it’s a corner where you can see a unique view of the Park. Once there, can also to play in the Trepachanga and inner tubes in a small natural pool. The best part is that you can use the water slide all the times you want! If after all these water activities you still have enough energy to go swimming, it’s time to return to the Underground Rivers. Both the Manatee River and the Maya River are mostly open so you can enjoy the colorful scenery along the entire route. The recommendation if you want to swim two (or more) rivers, is to take it easy: relax and let the current take you slowly floating. How did you like the tour? These are all the water activities already included in your admission to Xcaret, if you want something more, be sure to check our Optional Activities. For the nature lovers seeking close contact with wildlife, read the Suggested route through Xcaret for animal lovers. What's the difference between Blue, Mayan, and Manatee river? We only have time to do one, so trying to decide between the three based on what views they offer and such? Do they all generally end at the same point? Thanks!